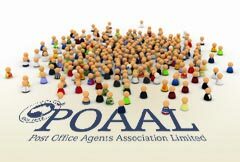 POAAL’s Tasmanian Branch invites Mail & Parcel Contractors and Messenger Post Couriers to a POAAL meeting in Hobart on Sunday 20 Mail 2012. POAAL CEO Ian Kerr will be present. Join us for an open discussion on postal industry matters and specific contractor issues.